The Compo Beach Pavilion will have its roof removed starting June 26. 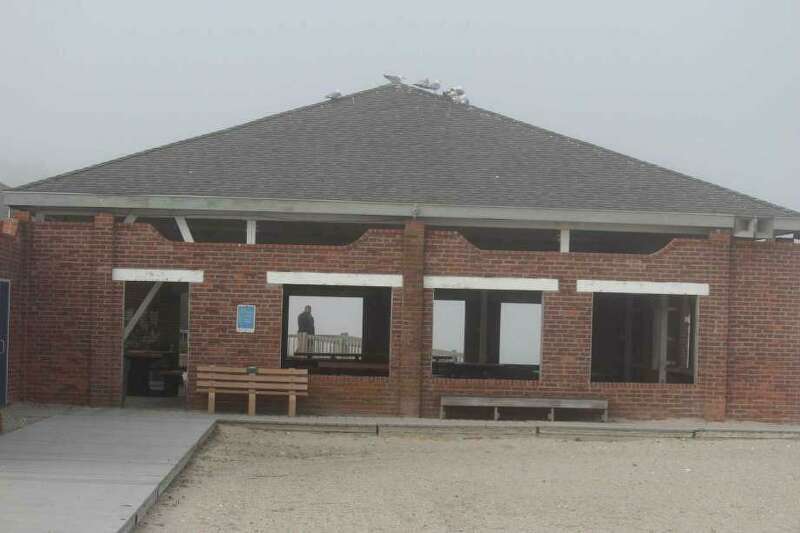 WESTPORT — Emergency work to remove the roof of the 86-year-old Compo Beach Pavilion began this past week, leaving the area closed to beachgoers. Earlier this month, the town conferred with a structural engineer to assess what immediate work needed to done to keep beachgoers safe with the roof emerging as an issue. This emergency work is expected to be completed by June 30. A complete renovation of the Compo Beach Bathhouse and Pavilion — built in 1931 — is in the works to the tune of $325,000. The improvements, which are set to start this fall include $120,000 to replace the roof, $20,000 to install hurricane ties, $160,000 to redo the bathrooms and $25,000 for new plumbing lines. Also, the town is determining whether the structure, which is included in the Compo-Owenoke Historic District, will be part of the National Register of Historic Places. If designated, the town could apply for a FEMA waiver and be allowed to spend more in renovations.